Are you interested in adopting a purebred puppy, a professionally trained hunting dog, or an older canine companion? Stonehearth Kennels adopts out our top-of-the-line AKC Golden Retrievers and Labradors to people that we feel are a good match for our dogs. Stonehearth Kennels retains full breeding rights on any dogs that are adopted out. Adoptive families will care for the dogs when they are not being bred and are responsible for vaccinations, food, licensing fees, and any medical fees while the dog is in their care. At the time of breeding or studding, the dog will be returned to Stonehearth Kennels for a period of time. 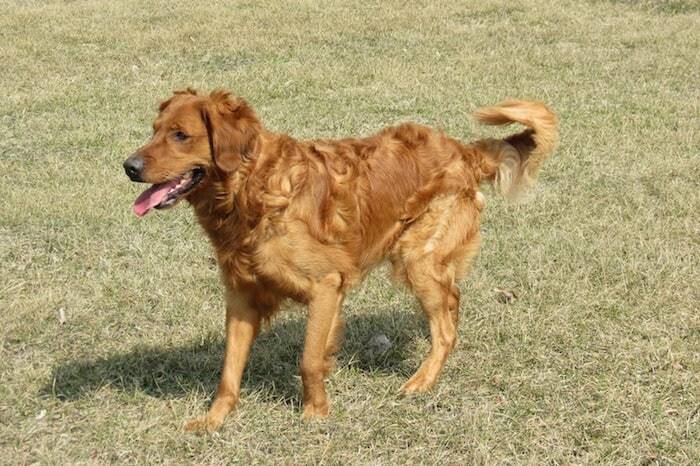 After studding the dog, breeding the dog and/or whelping puppies, the adopted dog will be returned to the host family. All expenses related to breeding or studding are the responsibility of Stonehearth Kennels. All dogs will be returned to the adopted families after an examination by a veterinarian, in good health. All dogs and puppies will go through Stonehearth Kennel’s Obedience Program. Stonehearth Kennels offers free boarding for adoptive pets, excluding holidays. Adoptive families will receive full ownership of dogs that are retired from breeding free of charge. If interested in our adoption program, you will be required to fill out an application. All adoptions are subject to approval. Please call 608-769-7421 for more information. Interested in our adoption program? Please contact us for more details.